Emily and Jeff’s wedding day took place in Laglio on beautiful Lake Come in Italy. Only the couple and the celebrant were present on the wedding day. I could go on for hours talking about this wedding. So many things stood out for Missing Piece Films. 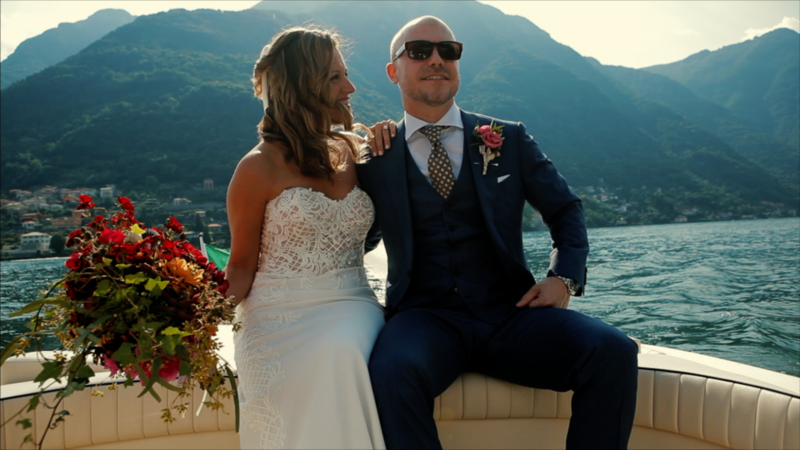 The couples vows, their love letters on the day, boating in a Riva on the lake and so on … Emily and Jeff, thank you for making us your cinematographers of choice. What a memorable day it was. About Villa Vittoria: Overlooking the gentle banks of the romantic Lake Como, Relais Villa Vittoria opens to the guests wishing to relive the atmosphere which at one time enchanted poets, writers and sophisticated travelers. In the little village of Laglio, already known for being loved by world famous celebrities, this nineteenth-century villa offers a refined atmosphere and the opportunity for the guests to enrich their stay with a variety of romantic experiences, making their holiday unforgettable and unique.